Electronic courts or e-courts can play an important role in effective and transparent judicial system. World over countries are trying to establish e-courts and alternative dispute resolution mechanisms that can help them in reduction of burden from traditional courts. However, this is not an easy task and it requires tremendous domain specific techno legal expertise. For instance, e-courts in India are still evolving and till December 2014 we are still looking forward to establish India’s first e-court. The e-courts project of India also faced a major setback when the e-committee refused to use audio and video recordings in lower courts. Similarly, the national litigation policy of India also needs a redraft and rejuvenation keeping in mind the changed circumstances and policies. For instance, the national litigation policy and the proposed amendments in the Indian arbitration law must also include concepts like e-courts and online dispute resolution (ODR). Perry4Law and Perry4Law’s Techno Legal Base (PTLB) have initiated few techno legal projects in the fields of e-courts and ODR. For instance, an Online Legal Case Management System (OLCMS) of Perry4Law Organisation (P4LO) has been started as a prototype for our main project titled E Courts 4 Justice (EC4J). Updates in this regard would be available from time to time at our Twitter account named EC4J. Similarly, in the field of ODR we have started few initiatives. These include a discussion forum titled Online Dispute Resolution Mechanism (ODRM) of Perry4Law Organisation (P4LO) and Online Case Management System (OCMS) of Perry4Law Organisation (P4LO). The E Courts 4 Justice (EC4J) project by Perry4Law Organisation (P4LO) would provide techno legal services to national and international stakeholders. These techno legal services would include consultancy, training, skills development, litigation support, e-filing, e-discovery and many more such services. We hope various stakeholders would find these projects of P4LO useful and we look forward to work with various government, non government, national and international stakeholders in this regard. As per this news report, legal framework for information society in India is in bad shape. Neither the legal system nor the judicial system of India is capable of accommodating the growing demands of contemporary Information and Communication Technology (ICT) society. On the legal framework side, India has a weak and ineffective cyber law to tackle growing cyber crimes. Similarly, the judiciary in India has also failed to actively use ICT for the betterment of all. The failure of E-Courts Project in India is a classical example of the same. To make the matter worst, Indian lawyers, judges and police officers have inadequate cyber forensics training resulting in lack of and inadequate cyber crime convictions. Cyber Forensics is a very recent scientific development and countries all over the World are struggling hard to incorporate the same in their respective legal and judicial systems. Cyber forensics is also a part of legal enablement of ICT system that essentially creates a legal framework incorporating the prerequisites of cyber forensics. 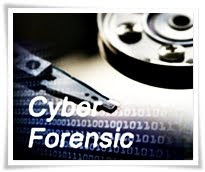 Cyber Forensics is an important field of criminal investigation. However, it requires a sound expertise to be practiced. In India we have very few experts who can provide cyber forensics services in an appropriate manner. Presently, India does not possess the required capabilities and law enforcement machinery finds it really difficult to deal with modern cyber crimes. As per Praveen Dalal, Managing Partner of Perry4Law and the leading Techno-Legal Expert of India, “Computer Forensics or Cyber Forensics in India has started gaining importance out of the necessity to deal with growing cyber crimes. Though India has taken some steps in the direction of enacting Information and Communication Technology (ICT) related law in the form of Information Technology Act, 2000 (IT Act, 2000), yet by and large it failed to provide a sound and secure law in this crucial direction. The result is too obvious. India has to depend upon foreign experts and institutions/universities for cyber forensics tasks”. In the absence of governmental efforts in this regard, world renowned techno-legal firms like Perry4Law can be really helpful in fighting cyber crimes in India. Issues pertaining to hacking, data thefts, data security, cyber terrorism, financial frauds, privacy violations, etc must not be taken as lightly as has been done by India. Perry4Law possesses techno-legal expertise for cyber law, cyber forensics, cyber security training, consultancy and solutions providing to various stakeholders. Perry4Law Techno-Legal Base (PTLB) is India’s first and most prominent techno-legal initiative that is providing techno-legal training to various players. It is also acting as India’s first and most effective Resource Centre for Cyber Forensics (RCCF) and cyber forensics software testing platform. Perry4Law and PTLB provides techno-legal services in the fields like cyber law, cyber forensics, crime and criminal tracking network and systems (CCTNS), techno-legal training to police officers, lawyers and judges, national mission for delivery of justice and legal reforms (NMDJLR), etc. The government of India must also take immediate steps to acquire indigenous capabilities at the national level. With the growing threats of cyber terrorism and cyber warfare, India should not be as complacent as it is. Judicial reforms in India are urgently required. The best option seems to be to use alternative disputer resolution (ADR) methods along with a pro-active use of Information and Communication Technology (ICT) for earlier and effective dispute resolution. At this stage we need to change gears from traditional ADR to the contemporary Online Dispute Resolution (ODR) methods. Perry4Law has been privileged to learn about ADR and ODR from World renowned Institutions and Organisations like World Intellectual Property Organisation (WIPO), ODR Info, etc. Both these institutions are World renowned in the field of ADR and ODR and have tremendous say and impact upon these crucial areas. Perry4Law is also proud to have its Partner(s) as ADR and ODR Panelists at WIPO, FICCI, ODR India, etc. In the Indian context, although ADR has been in use for many years ODR has yet to find a place in the legal and judicial arenas. Further, with a growing use of International Commercial Arbitration, ODR holds a good scope in resolving commercial disputes involving higher stakes. These commercial disputes cannot be lingered on for many years as usually happen in case the same is agitated through the traditional litigation process. A unique fact about the ADR and ODR services of Perry4Law is that it is the First and Exclusive Techno-Legal ICT Law Firm of India and one of the few in the World. Being a “Highly Specialised” Techno-Legal Firm it can also manage those “Technical ICT Disputes” which other may find very difficult to understand. Perry4Law provide Techno-Legal ADR and ODR Service for “Various Fields”. Interested Individuals, Companies and Organisations must consult the “Contact Point” of Perry4Law to avail its ADR/ODR and other Techno-Legal Services. Arbitrators, Mediators and Conciliators who are interested in becoming an ADR or ODR Provider/Panelist for Perry4Law must also send an e-mail to express their interest. Panel selection would be governed by the rules and regulations provided separately by Perry4Law to the Panelists. Due Diligence Compliances has always been a part and parcel of the Indian Legal System. However, nothing is more challenging than meeting the due diligence requirements in cyberspace. Perry4Law is the First and Exclusive Techno-Legal ICT Law Firm in India and one of the few in the World. It provides, among other Techno-Legal Services, assistance to companies and individuals to meet the due diligence compliances under various laws. Although the due diligence requirement were already there in the Information Technology Act, 2000 (IT Act 2000) yet with the enactment of Information Technology Act 2008 (IT Act 2008) it has become even more crucial and stringent. (A) ISPs: Internet Service Providers (ISPs) or Network Service Providers (NSPs) liabilities under the cyber laws are numerous. They have to exercise due diligence to escape the civil and criminal liabilities under various laws and cyber laws. (B) Corporations And Organisations: Companies having a web presence and online dealing must meet the techno-legal due diligence requirements under various laws and cyber law of India. Perry4Law can make your company and organisation safe and secure on the one hand and cyber law compliant and due diligence compliant on the other. For getting the Professional Techno-Legal Services, visit the “Contact Point” of Perry4Law and meet the stipulated conditions. Information and Communication Technology (ICT) is posing numerous challenges before the Indian Executive, Judiciary and Parliament. The Techno-Legal issues of cyber law in India, cyber security in India and cyber forensics in India remain unattended due to lack of expertise in this regard. To remove this embargo, Perry4Law has recently launched a “Contact Point” where Government of India (GOI), Executive, Judiciary, Parliament, Industrial and Professional Bodies, etc can seek its domain and industry specific techno-legal services. These services of Perry4Law have been categorised as “Professional” or “Honorarium”. Kindly bookmark the Contact Point and consult “Checklists” and use “Proforma" before contacting to avoid blacklisting. Perry4Law is the Exclusive Techno-legal ICT Law Firm of India and one of the few in the World. It has been instrumental in providing valuable suggestions and recommendations to the Government of India (GOI) regarding Techno-Legal ICT Regulations in India. The Government Departments that have been benefited in the past from its suggestions and recommendations include Department of Information Technology (DIT), Department of Science and Technology (DST), etc. Besides these departments the Department of Telecommunications (DOT), the E-Court Committee of India, National Informatics Center (NIC), etc would also be benefited by these services. Perry4Law is a World renowned name in the Techno-Legal Field. It has domain specific expertise in the fields like Cyber Forensics, Cyber Security, E-Governance, E-Commerce, Cyber Law, Corporate Due Diligence, Corporate Laws, Criminal Laws, Taxation Laws, International Law, Private International Law, Space Laws, Laws For Defense Forces, International Trade, Intellectual Property Rights, etc. Further, the Working Group on Cyber Law is acting as a bridge between India and the International Community in the Techno-Legal fields. These initiatives would definitely change the techno-legal scenario in India for ever. The Contact Point has great potential and it would be good idea to include it in the Political Agendas and Manifestos of Parties like BJP and Congress so that India may become a true ICT Superpower. This information is issued in Public Interest for all those who are interested in Techno-Legal ICT Services in India. Perry4Law has changed the procedure by which its services can be availed. An incorrect procedure may result in lack of response from the Firm’s side and in many cases a “Permanent Blacklisting” to prevent spam communications. Kindly bookmark the Contact Point and consult “Checklists” and use “Proforma" before contacting. This contact point would act as the initial contact point and any communication other than through this contact point would be outrightly rejected and ignored. The Techno-Legal services in fields like Cyber Forensics, Cyber Security, E-Governance, E-Commerce, Cyber Law, Corporate Due Diligence, Corporate Laws, Criminal Laws, Taxation Laws, International Law, Private International Law, Space Laws, Laws For Defense Forces, International Trade, Intellectual Property Rights, etc would be covered by this contact point. Information and Communication Technology (ICT) is not only dynamic but also very challenging in nature. It is posing novel challenges before law makers, law enforcement as well as judiciary. It is also forcing businesses to keep their businesses in line with the ICT. Of late, we are witnessing increased concerns among the members of society as well as companies regarding “compliances” arising out of the technology laws and cyber laws. Techno-legal compliances are very difficult to manage and risky to ignore. Perry4Law is the Exclusive Techno-legal ICT Law Firm of India and one of the few in the World. It has been instrumental in providing valuable suggestions and recommendations to the Government of India (GOI) regarding Techno-Legal ICT Regulations in India. To streamline its “Professional Services”, it has established a “Contact Point” where the Techno-Legal services seekers may contact. This contact point would act as the initial contact point and any communication other than through this contact point would be outrightly rejected and ignored. Kindly bookmark this “Contact Point” for your future references. This information has been released in “Public Interest” and for the common benefit of all those who are interested in Techno-Legal issues. To get better results, kindly consult the “Checklists” and attach relevant “Proforma”. In the absence of any of them (Checklist or Proforma) the communication would be rejected and the sender would be “Blacklisted” for ever. Perry4Law would not attend any communications from such persons or companies in future. We hope all the interested persons, companies and organisations would act through the contact point to foster better and enduring mutual professional relationships. To avoid “Spam Communications” we have decided not to provide the Telephone Numbers of our Partners. The same can be provided subject to “Prior Deposit” of the “Hourly Rate Charges” of the respective Partner. We charge on an “Hourly Basis” only and we do not charge on a half hourly basis. The Telephonic Conversation or Tele Conferencing would take place for an hour or part of the same. For every subsequent hour or part of the same, “Additional Charges” at the same rate would be charged. To avoid inconvenience, kindly estimate your number of hours that you may wish to speak or interact with Perry4Law or its Partners. The hourly charges of Mr. Praveen Dalal, Managing Partner of Perry4Law, are maximum.